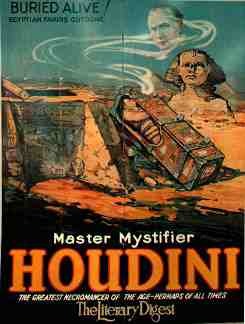 HOUDINI: Available Houdini Posters! from the Houdini Museum in the Scranton, Pocono, PA region. The greatest magician, escape artist and lock picker of all time. WARNING!!! 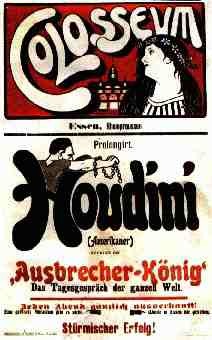 All Poster images have been computer enhanced and reworked by us and are copyrighted by The Houdini Museum. Posters have been SOLD OUT since 2005 and are not available. We do not do mail order. Images are kept here for historic purposes. 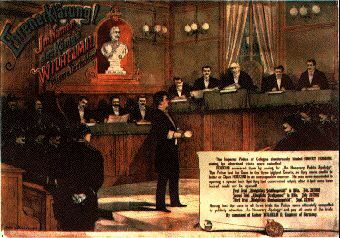 Do not copy with out written permission. .
"How I get our of a Strait-Jacket," by Harry Houdini. 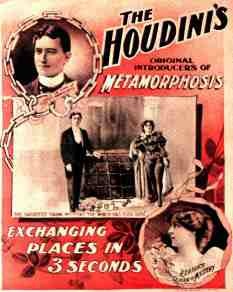 reprint on card stock of May 1918 article in Ladies Home Journal, with detailed pictures of Houdini escaping from a strait jacket while hanging upside down. 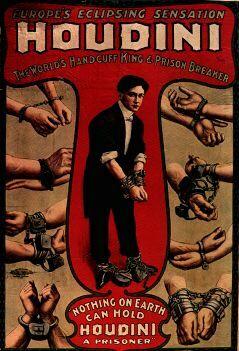 11" x 17"
Poster-Houdini "The World's handcuff King and Prison Breaker" (repro-circa1906) Full color. 22" x 30" SOLD OUT plus shipping. Poster-Colosseum. Full color repro about 22" x 27". 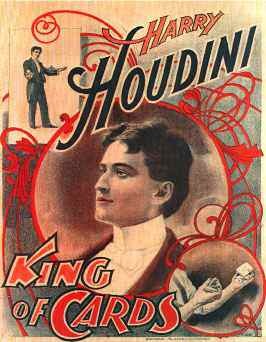 King of Cards (repro-circa 1895) His first poster. Mostly navy blue and rose. 19" X 22" SOLD OUT . Press to return to Houdini Museum for more. 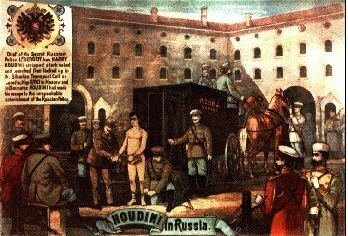 � 1993 by The Houdini Museum. No part of any of this document may be reproduced in any form, without written permission. The graphics have been retouched, computer enhanced and resized by the authors.